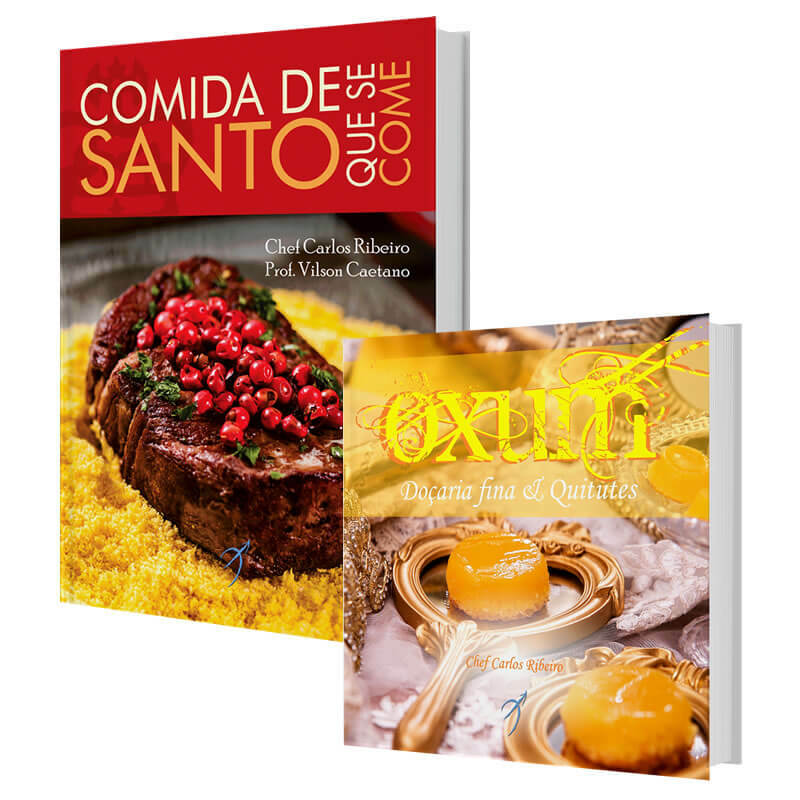 Two books and a delicious banquet prepared by Chefs and inspired by the sacred tastes and knowledge of the Orishas! Chef Carlos Ribeiro and his guests explore the pleasures of the good table and invite us to a feast of tastes and sacred knowledge inspired by the traditional offerings of the Orishas! In <strong>Sacred Food to be Eaten</ strong>, 35 recipes for the 16 Orishas worshiped in Brazil; in <strong>Oshum, Finest Sweets</ strong>, 21 mouth-watering candies (and a surprise specially prepared for you)! To say the things that Orixá's determinate eats is how to reveal a particularity, something intimate forum of that divinity. In this way, the absence of some dishes or their presence without more information really seeks to protect a special knowledge. Moreover, just as in the practice of faith, the sharing of food is also an act of devotion, in which men and gods become one. Visiting and recreating the traditional recipes of Candomblé Terreiros, their aromas and spices, "Sacred Food to be Eaten" is the symbolic reaffirmation of the greatest and truest lesson: magic begins in the kitchen! The second book, "Oshun: Fine Sweetness and Pastries" is the debut book of the "Ajeum Collection". Organized by Chef Carlos Ribeiro, author of "Sacred Food", and signed by him and the guests Ieda de Matos, Ana Célia and Bel Coelho, the collection portrays typical Brazilian dishes inspired by the favorite ingredients of the African goddess of beauty, of love and fecundity: 21 recipes with many eggs and sweetness.